If more than one rule match is found and source folder = <Any Folder> is one of them then the rule with a specific source folder will be used. 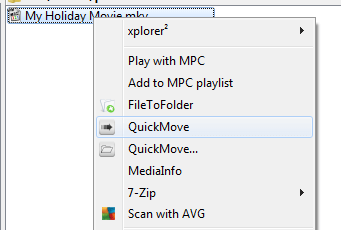 There is a new Context Menu Option called “QuickMove…” which will open your set of favourite target folders and bypass any rules set up. Popup Notification space usage improved.